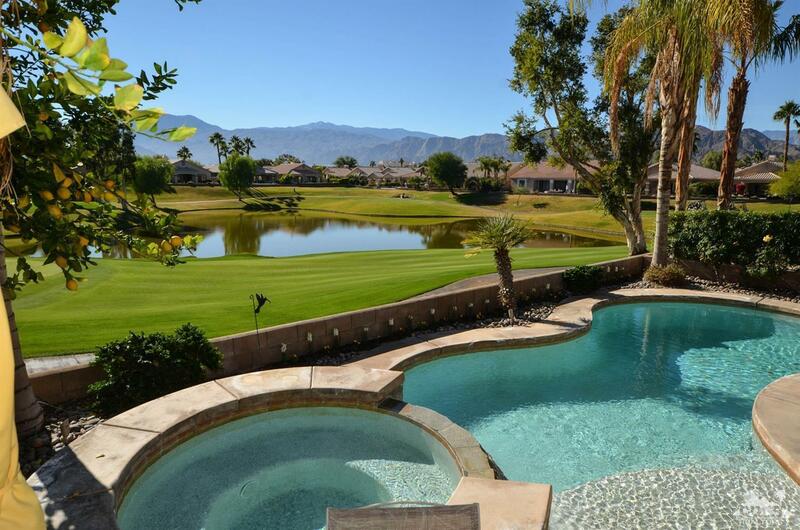 This sensational Indian Springs Country Club home offers the most amazing golf course, lake & southern mountain views!! With only a handful of Newport II floor plans built in ISCC, the opportunity to own one is very rare. This gorgeous home offers 2, 002 SF of living space, 3 bdrm/2 ba, gourmet kitchen w/maple cabinetry, slab granite counter tops and views to die for! Entertain friends & family in the amazing outdoor living space w/covered patio and private pool/spa all while soaking in the sun and enjoying your million-dollar view. This home is being offered turnkey furnishedjust bring your toothbrush, golf clubs and swimsuit! Located w/in IID for lower energy costs, close to all shopping and w/in the highly sought after DSUSD. Low HOA fees include front yard landscape maintenance, 24 hr staffed security, Frontier FiOS cable/internet and community pool, spa & fitness center. All of this w/in close proximity to La Quinta and Hwy 111, a reasonably priced golf club and NEW Big Rock Pub!